A number of newspapers are reporting on the new advertisements being created by EthicalOil.org, formerly run by Ezra Levant and now by former Tory staffer Alykhan Velshi. The ads contrast the difference between ethical oil producing nations such as Canada and Norway and conflict oil nations like those in the middle east. 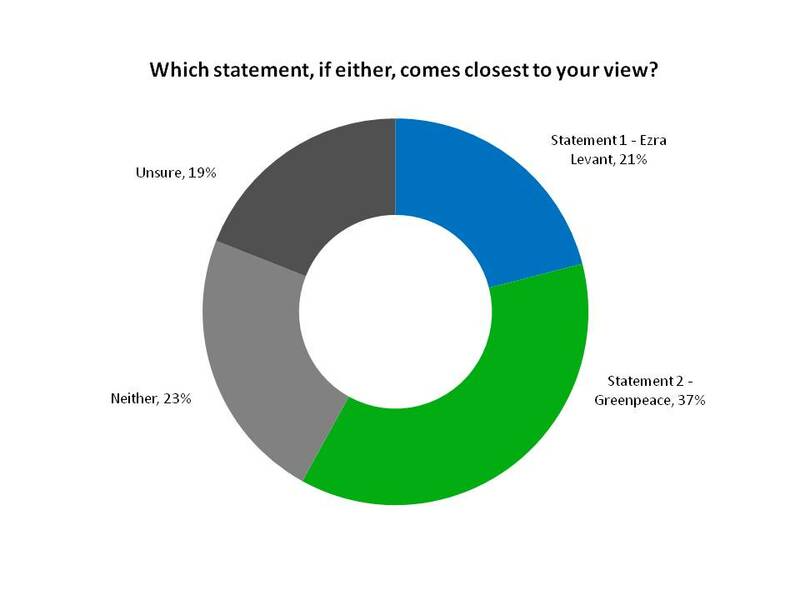 Levant’s argument in his book on the subject is quite compelling and is certainly trying to change the frame of the debate over the Alberta oil sands. Back in December, Abacus Data did some research on the debate and I wrote a column in the Hill Times about the findings. Since that article appeared, the Federal Government has taken up the language of ethical oil. Environment Minister Peter Kent has described Canada’s oil sands as “ethical” in comparison to other sources of oil. And so a big question is whether Canadians and Americans been moved by the argument now that it has been in the public sphere for a while. Abacus will probably go back to Canadians and test the same argument to see if anything has changed. Stay tuned.